The suppressed inventions of Nikola Tesla are just as significant to mankind as Viktor Schaubergers teachings and technology. The scope and detail of Tesla’s humanitarian contribution would need a web page 3 times the size of Panacea’s web page. All the faculty aspects of Tesla’s teachings will be included in panacea’s granted centre. One individuals research relating to Tesla’s education is Erick Dollard, this individual will be recruited by the Panacea centre to begin the basic preparation, education and replication of Tesla’s free-energy technology. Quote-Eric Dollard is the only man known to be able to accurately reproduce many of Tesla’s experiments with Radiant Energy and wireless transmission of power. This is because he understands that conventional electrical theory only includes half of the story. These video tapes are phenomenal in what they reveal. Eric Dollard discoveries have been made public through instructional books and video footage which include: Tesla’s Transverse & Longitudinal Waves, and Tesla’s Longitudinal Electricity. Yet no sicentific faculty has brought this to the public’s attention. There is no faculty university in the world today who is aware or teaching the FULL EXTENT OF Tesla’s technology, including his wireless power capacity. Or that he had electro propulsive technology and had information confiscated by the corporate American military upon his death. Recently a demonstration of Nikola Tesla’s theory of the transmission of power without the use of wires using EM ‘Scalar Waves’ was done by Professor Dr. Konstantin Meyl of Germany. Quoted text from the video October 2003 Wireless transmission of electricity http://video.google.com/videoplay?docid=-1426638491693188239&q=meyl according to Nikola Tesla. In this video you will see a small electric motor boat with no onboard power of any kind.the boat is receiving power from Scalar Waves being sent from the Scalar-wave transmitter located above the covered tank. Scalar-Wave Transmitter: This device transmits power without wires to the boat in the tank below. The second tower is also receiving power via scalar waves. Look at the base of the 2nd tower to see small lights bein lit via wireless transmission of power SCALAR WAVES. This experiment is based on the work of Nikola Tesla and is presented here by Professor Dr. Konstantin Meyl University of Applied Sciences 1st Transfer Center of Scalar wave technology St. Georgen, Germany. This video is called “Power Enginieering Scalar Field Theory – Faraday vs. Maxwell and Demonstration of Longitudinal waves Transmission (Konstantin Meyl) (2003)”. After he expounds on the same details that are included his written works he gives the demonstration with the apparatus discussed in same written works. First he shows, at 7+ MHZ he is transmitting Longitudinal, or Scalar,or Standing Wave (the three names are synonimous with the same phenomena), and then by reducing the frequency to 4+ MHZ he is transmitting Hertzian Waves. The difference being that the resonant frequency of the coils and capacitive impedance is tuned to the 7+ MHZ frequency, and not to the 4+ MHZ frequency. Tesla’s technology and knowledge is imperative for clean energy research and development. There is a myriad of engineers known to Panacea ready for contribution and support towards the education and replication of this field. All engineers lack GRANTS and a centre to further progress. All must be recruited and consolidated into Panacea’s grant faculty department. For further detail regarding Tesla and Eric Dollard visit Panacea’s online university here http://panacea-bocaf.org/files/patrickkelly/Start.html . TESLA TECHNOLOGY : A collection of research and research materials for advance research in understanding the true nature of Tesla’s discoveries. # CAPACITANCE: The phenomena of capacitance is a type of electrical energy storage in the form of a field in an enclosed space. This space is typically bounded by two parallel metallic plates or two metallic foils on an intervening insulator or dielectric. A nearly infinite variety of more complex structures can exhibit capacity, as long as a difference in electric potential exists between various areas of the structure. The oscillating coil represents one possibility as to a capacitor of more complex form, and will be presented here. # THE LAWS OF LINES OF FORCE: All the lines of magnetic force are closed upon themselves, all dielectric lines of force terminate on conductors, but may form closed loops in electromagnetic radiation. These represent the basic laws of lines of force. It can be seen from these laws that any line of force cannot just end in space. # FARADAY & LINES OF FORCE THEORY: Farady felt strongly that action at a distance is not possible thru empty space, or in other words, “matter cannot act where it is not.” He considered space pervaded with lines of force. Almost everyone is familiar with the patterns formed by iron filings around a magnet. These filings act as numerous tiny compasses and orientate themselves along the lines of force existing around the poles of the magnet. Experiment has indicated that a magnetic field does possess a fibrous construct. By passing a coil of wire thru a strong magnetic field and listening to the coil output in headphones, the experimenter will notice a scraping noise. J. J. Thompson performed further experiments involving the ionization of gases that indicate the field is not continuous but fibrous (electricity and matter, 1906). # PHYSICAL CHARACTERISTICS OF LINES OF FORCE: Consider the space between poles of a magnet or capacitor as full of lines of electric force. See Fig.1. These lines of force act as a quantity of stretched and mutually repellent springs. Anyone who has pushed together the like poles of two magnets has felt this springy mass. Observe Fig.2. Notice the lines of force are more dense along AB in between poles, and that more lines on A are facing B than are projecting outwards to infinity. Consider the effect of the lines of force on A. These lines are in a state of tension and pull on A. Because more re pulling on A towards B than those pulling on A away from B, we have the phenomena of physical attraction. Now observe Fig. 3. Notice now that the poles are like rather than unlike, more or all lines pull A away from B; the phenomena of physical repulsion. # MASS ASSOCIATED WITH LINES OF FORCE IN MOTION: The line of force can be more clearly understood by representing it as a tube of force or a long thin cylinder. 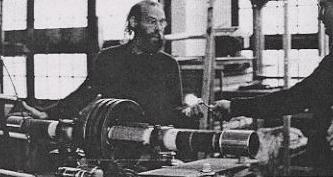 Maxwell presented the idea the tension of a tube of force is representative of electric force (volts/inch), and in addition to this tension, there is a medium through which these tubes pass. There exists a hydrostatic pressure against this media or ether. The value of this pressure is one half the product of dielectric and magnetic density. Then there is a pressure at right angles to an electric tube of force. If through the growth of a field the tubes of force spread sideways or in width, the broadside drag through the medium represents the magnetic reaction to growth in intensity of an electric current. However, if a tube of force is caused to move endwise, it will glide through the medium with little or no drag as little surface is offered. This possibly explains why no magnetic field is associated with certain experiments performed by Tesla involving the movement of energy with no accompanying magnetic field. # INDUCTANCE AS AN ANALOGY TO CAPACITY: Much of the mystery surrounding the workings of capacity can be cleared by close examination of inductance and how it can give rise to dielectric phenomena. Inductance represents energy storage in space as a magnetic field. The lines of force orientate themselves in close loops surrounding the axis of current flow that has given rise to them. The large the space between this current and its images or reflections, the more energy that can be stored in the resulting field. # MECHANISM OF STORING ENERGY MAGNETICALLY: The process of pushing these lines or loops outward, causing them to stretch, represents storing energy as in rubber band. A given current strength will hold a loop of force at a given distance from conductor passing current hence no energy movement. If the flow of current increases, energy is absorbed by the field as the loops are then pushed outward at a corresponding velocity. Because energy is in motion an E.M.F. must accompany the current flow in order for it to represent power. The magnitude of this EMF exactly corresponds to the velocity of the field. Then if the current ceases changing in magnitude thereby becoming constant, no EMF accompanies it, as no power is being absorbed. However, if the current decreases and represents then a negative velocity of field as the loops contract. Because the EMF corresponds exactly to velocity it reverses polarity and thereby reverses power so it now moves out of the field and into the current. Since no power is required to maintain a field, only current, the static or stationary field, represents stored energy. # THE LIMITS OF ZERO AND INFINITY: Many interesting features of inductance manifest themselves in the two limiting cases of trapping the energy or releasing it instantly. Since the power supply driving the current has resistance, when it is switched off the inductance drains its energy into this resistance that concerts it into the form of heat. We will assume a perfect inductor that has no self resistance. If we remove the current supply by shorting the terminals of the inductor we have isolated it without interrupting any current. Since the collapse of field produces EMF this EMF will tend to manifest. However, a short circuit will not allow an EMF to develop across it as it is zero resistance by definition. No EMF can combine with current to form power, therefore, the energy will remain in the field. Any attempt to collapse forces increased currents which pushes it right back out This is one form of storage of energy. # INSTANT ENERGY RELEASE AS INFINITY: Very interesting (and dangerous) phenomena manifest themselves when the current path is interrupted, thereby causing infinite resistance to appear. In this case resistance is best represented by its inverse, conductance. The conductance is then zero. Because the current vanished instantly the field collapses at a velocity approaching that of light. As EMF is directly related to velocity of flux, i tends towards infinity. Very powerful effects are produced because the field is attempting to maintain current by producing whatever EMF required. If a considerable amount of energy exists, say several kilowatt hours* (250 KWH for lightning stroke), the ensuing discharge can produce most profound effects and can completely destroy inadequately protected apparatus. * The energy utilized by an average household in the course of one day. # ANOTHER FORM OF ENERGY APPEARS: Through the rapid discharge of inductance a new force field appears that reduces the rate of inductive EMF formation. This field is also represented by lines of force but these are of a different nature than those of magnetism. These lines of force are not a manifestation of current flow but of an electric compression or tension. This tension is termed voltage or potential difference. # DIELECTRIC ENERGY STORAGE SPATIALLY DIFFERENT THAN MAGNETIC ENERGY STORAGE: Unlike magnetism the energy is forced or compressed inwards rather than outwards. Dielectric lines of force push inward into internal space and along axis, rather than pushed outward broadside to axis as in the magnetic field. Because the lines are mutually repellent certain amounts of broadside or transverse motion can be expected but the phenomena is basically longitudinal. This gives rise to an interesting paradox that will be noticed with capacity. This is that the smaller the space bounded by the conducting structure the more energy that can be stored. This is the exact opposite of magnetism. With magnetism, the units volumes of energy can be though of as working in parallel but the unit volumes of energy in association with dielectricity can be thought of as working in series. # VOLTAGE IS TO DIELECTRICITY AS CURRENT IS TO MAGNETISM: With inductance the reaction to change of field is the production of voltage. The current is proportionate to the field strength only and not velocity of field. With capacity the field is produced not by current but voltage. This voltage must be accompanied by current in order for power to exist. The reaction of capacitance to change of applied force is the production of current. The current is directly proportional to the velocity of field strength. When voltage increases a reaction current flows into capacitance and thereby energy accumulates. If voltage does not change no current flows and the capacitance stores the energy which produced the field. If the voltage decreases then the reaction current reverses and energy flows out of the dielectric field.As the voltage is withdrawn the compression within the bounded space is relieved. When the energy is fully dissipated the lines of force vanish. # AGAIN THE LIMITS ZERO AND INFINITY: Because the power supply which provided charging voltage has internal conductance, after it is switched off the current leaking through conductance drains the dielectric energy and converts it to heat. We will assume a perfect capacitance having no leak conductance. If we completely disconnect the voltage supply by open circuiting the terminals of the capacitor, no path for current flow exists by definition of an open circuit. If the field tends to expand it will tend towards the production of current. However, an open circuit will not allow the flow of current as it has zero conductance. Then any attempt towards field expansion raises the voltage which pushes the field back inwards. Therefore, energy will remain stored in the field. This energy can be drawn for use at any time. This is another form of energy storage. # INSTANT ENERGY RELEASE AS INFINITY: Phenomena of enormous magnitude manifest themselves when the criteria for voltage or potential difference is instantly disrupted, as with a short circuit. The effect is analogous with the open circuit of inductive current. Because the forcing voltage is instantly withdrawn the field explodes against the bounding conductors with a velocity that may exceed light. Because the current is directly related to the velocity of field it jumps to infinity in its attempt to produce finite voltage across zero resistance. If considerable energy had resided in the dielectric force field, again let us say several KWH the resulting explosion has almost inconceivable violence and can vaporize a conductor of substantial thickness instantly. Dielectric discharges of great speed and energy represent one of the most unpleasant experiences the electrical engineer encounters in practice. # ENERGY RETURNS TO MAGNETIC FORM: The powerful currents produced by the sudden expansion of a dielectric field naturally give rise to magnetic energy. The inertia of the magnetic field limits the rise of current to a realistic value. The capacitance dumps all its energy back into the magnetic field and the whole process starts over again. The inverse of the product of magnetic storage capacity and dielectric storage capacity represents the frequency or pitch at which this energy interchange occurs. This pitch may or may not contain overtones depending on the extent of conductors bounding the energies. # CHARACTERISTIC IMPEDANCE AS REPRESENTATION OF PULSATION OF ENERGY FIELD: The ratio of magnetic storage ability to that of the dielectric is called the characteristic impedance. This gives the ratio of maximum voltage to maximum current in the oscillatory structure. However, as the magnetic energy storage is outward and the dielectric storage is inward the total or double energy field pulsates in shape or size.The axis of this pulsation of force is the impedance of the system displaying oscillations and pulsation occurs at the frequency of oscillation. # ENERGY INTO MATTER:As the voltage or impedance is increased the emphasis is on the inward flux. If the impedance is high and rate of change is fast enough (perfect overtone series), it would seem possible the compression of the energy would transform it into matter and the reconversion of this matter into energy may or may not synchronize with the cycle of oscillation. This is what may be considered supercapacitance, that is, stable long term conversion into matter. # MISCONCEPTIONS OF PRESENT THEORY OF CAPACITANCE: The misconception that capacitance is the result of accumulating electrons has seriously distorted our view of dielectric phenomena. Also the theory of the velocity of light as a limit of energy flow, while adequate for magnetic force and material velocity, limits our ability to visualize or understand certain possibilities in electric phenomena. The true workings of free space capacitance can be best illustrated by the following example. It has been previously stated that dielectric lines of force must terminate on conductors. No line of force can end in space. If we take any conductor and remove it to the most remote portion of the universe, no lines of force can extend from this electrode to other conductors. It can have no free space capacity, regardless of the size of the electrode, therefore it can store no energy. This indicates that the free space capacitance of an object is the sum mutual capacity of it to all the conducting objects of the universe. # FREE SPACE INDUCTANCE IS INFINITE: Steinmetz in his book on the general or unified behavior of electricity The Theory and Calculation of Transient Electric Phenomena and Oscillation, points out that the inductance of any unit length of an isolated filamentary conductor must be infinite. Because no image currents exist to contain the magnetic field it can grow to infinite size. This large quantity of energy cannot be quickly retrieved due to the finite velocity of propagation of the magnetic field. This gives a non reactive or energy component to the inductance which is called electromagnetic radiation. # WORK OF TESLA, STEINMETZ AND FARDAY: In the aforementioned books of Steinmetz he develops some rather unique equations for capacity. Tesla devoted an enormous portion of his efforts to dielectric phenomena and made numerous remarkable discoveries in this area. Much of this work is yet to be fully uncovered. It is my contention that the phenomena of dielectricity is wide open for profound discovery. It is ironic that we have abandoned the lines of force concept associated with a phenomena measure in the units called farads after Farady, whose insight into forces and fields has led to the possibility of visualization of the electrical phenomena. # QUESTION AS TO THE VELOCITY OF DIELECTRIC FLUX : It has been stated that all magnetic lines of force must be closed upon themselves, and that all dielectric lines of force must terminate upon a conducting surface. It can be inferred from these two basic laws that no line of force can terminate in free space. This created an interesting question as to the state of dielectric flux lines before the field has had time to propagate to the neutral conductor. During this time it would seem that the lines of force, not having reached the distant neutral conductor would end in space at their advancing wave front. It could be concluded that either the lines of force propagate instantly or always exists and are modified or conjugate space exists within the same boundaries as ordinary space. The properties of lines of force within this conjugate space may not obey the laws of normally conceived space. 1. Electricity and Matter, J. J. Thompson, New York, l906, Scribner’s Sons, and l904, Yale University. 2. Elementary Lecture on Electric Discharges, Waves, and Impulses and other Transients, C. P. Steinmetz, second edition, 1914, McGraw-Hill. 3. Theory and Calculation of Transient Electric Phenomena and Oscillations, C. P. Steinmetz, third edition, l920, McGraw-Hill. Section III Transients in Space, Chapter VIII, Velocity of Propagation of Electric Field. – DIELECTRIC & MAGNETIC DISCHARGES IN ELECTRICAL WINDINGS, Eric P. Dollard. Eric Dollards work on the relationship of the dielectric and electromagnetic aspects of electricity is the most important breakthrough in modern day electrical research providing real avenues of research into Teslas secrets. Contains ELECTRICAL OSCILLATIONS IN ANTENNAE & INDUCTION COILS by John Miller, 1919, one of the few articles containing equations useful to the design of Tesla Coils. – SYMBOLIC REPRESENTATION OF THE GENERALIZED ELECTRIC WAVE , Eric P. Dollard. – SYMBOLIC REPRESENTATION OF ALTERNATING ELECTRIC WAVES , Eric P. Dollard. Introduction to the FOUR QUADRANT THEORY of Alternating Current which allows engineering of Teslas inventions. Provides a more complete understanding of the use of versor operators (degrees of rotation), necessary to the understanding of the rotating magnetic field. The process of the production of electrical energy using the neglected QUADRANTS OF GROWTH is brought about via the use of these operators. If youve ever wondered if there is more to a Tesla coil than just making big sparks then watch this video. Borderland presents a series of experiments providing you with factual data on the reality of Teslas theories. You will see experiments on: The One-Wire Electrical Transmission System; The Wireless Power Transmission System; Transmission of Direct Current Through Space; and, a novel form of electric light which attracts material objects but repels a human hand! Also presented is a longitudinal broadcast from Borderland Labs to a nearby beach, using the ocean as an antenna. These experiments can be reproduced by any competent researcher, there are no secrets here! Todays conceptions of a Tesla Coil provide the researcher with little practical material. 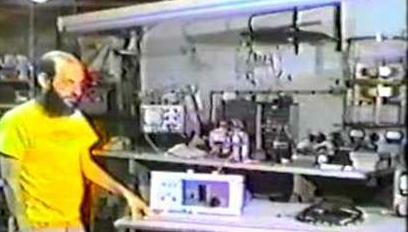 Eric Dollard reintroduces the “pancake” Tesla Coils in a series of experiments taken directly from Teslas work. No modern interpretations needed, we went to the source  and it worked! Construction details are given. If you want to do some exciting, exploratory work into Teslas theories then this video will certainly give you a good start. – Nikola Tesla: Lectures, Patents & Articles, Nikola Tesla (1956). This is one of the finest Tesla reference books available. Documents are taken from the Tesla Museum and Beograd University. A wealth of information compiled into two huge volumes, it makes finding pertinent information easier and faster. Lectures on A New System of Alternate Currents of Very High Frequency & Their Application to Methods of Artificial Illumination; On Light & Other High Frequency Phenomena; High Frequency Oscillators for Motors. 9 Patents for Transmission of Electric Power; 6 Patents for Lighting; 17 Patents for High Frequency Apparatus and Circuit Controllers; 12 Patents – Radio; 1 – Telemechanics; 7 – Turbines & Similar Apparatus; 11 – Various Patents. Also 24 Articles and an Autobiographical Article. A must have for the serious Tesla enthusiast. Earlier this century Georges Lakhovsky described researches indicating that living cells can be regenerated by applying energy fields of multiple wavelengths. Chock full of schematics, diagrams, research notes, patents, pictures, ideas and suggestions for advancement and refinement of the art, this is the only source which contains the many diverse opinions as to the actual construction details of Lakhovskys original MWOs, and this new edition contains many new and updated circuit diagrams as well as new pictures taken at Lakhovskys home in Paris! You may have heard of different types of devices  this book shows you how to build them all, with reports from researchers who have. From simple experiments with copper coils stimulating the growth of plants to different types of electrical circuits and antenna patterns used in cellular regeneration research, this is THE MWO BOOK for experimenters and researchers. Even Tesla Coil builders can benefit greatly from this handbook. Originating in the USA but adopted by the Nazis for the V2 missile, the mag amp after WWII found a clique of boosters among US electronics engineers who belived the rugged magnetic amplifier was going to replace the fragile vacuum tube in all it’s functions under a Megacycle. We’ve thrown a lot of sparks, but is this what Tesla had in mind? In this sequel to the classic Tesla Coil, we venture into the utilitatian Tesla. This is a reprint of Nikola Tesla’s June, 1919 article in the Electrical Experimenter. The article outlines the differences between his wireless technology and that of academic convention. “The True Wireless” is one of the most important of Tesla’s articles in that he explains in great detail HIS system of wireless. Also, this document, in his own words, smashes currently held beliefs about so-called “Tesla Technology”. Written some years after his Wardencliff Project, Tesla explains the inefficiency and limitations of the Hertzian method of electromagnetic propagation (through the air) with great clarity — and that his system of wireless which was vastly more effective, utilised the ground itself for propagation. Tesla states, “Properly constructed, my system [of wireless] is safe against static and other interference, and the amount of energy which may be transmitted is billions of times greater than with the Hertzian which has none of these virtues…” He explains in particular, with several analogs in diagrammatic representation, his single-wire-without-return system — the heart of Tesla’s radio and wireless power systems. Introduction by Mr. Trinkaus with references and diagrams of his own experiments which prove the Teslian wireless system. Invented by Nikola Tesla back in 1891, the Tesla coil can boost power from a wall socket or battery to millions of high frequency volts. In this document, the only systematic treatment of the Tesla coil for the electrical non-expert, youll find a wealth of information on one of the best-kept secrets of electric technology, plus all the facts you need to build a tesla coil on any scale. And you can build one out of everyday materials. A well-tuned coils output is harmless but can perform amazing tasks. Light your home, farm, or ranch at a fraction of the usual cost. Disinfect water. Build a powerful radio transmitter. Learn about the souped-up Tesla coil called the magnifying transmitter and how Tesla envisioned its use for wireless electric power and global communications. Includes: Differences between the Magnifer Transmitter and the Tesla Coil; different usages of the Archimedean Spiral; Why the building is shaped and sized in the manner it was. Regeneratoin as main feature for the transmitter; Reasons for the metalic hemisphere at both ends of the TMT; Internal Radio Devicess: Apparatus placed within the magnifier Transmitter to broadcast and receive voice and visual. Contents: The Electromagnetic Pyramid, Low and High Voltage models; The Tesla Radionic Machine with list of parts and working procedure (with Rate Atlas); Semiautomatic Radionic Devices, Vacuum-Tube and Transistorized. – ELECTRIC DISCHARGES, WAVES, IMPULSES and OTHER TRANSIENTS, Charles Proteus Steinmetz. – Theory and Calculation of Transient Electrical Phenomena and Oscillations , Charles Proteus Steinmetz. Sections: Transiet Phenomena in Time, Periodic transient Phenomena, Transit Phenomena in Space, Transient Phenomena in Time and Space. – Alternating Current Phenomena , Charles Proteus Steinmetz. Sections: Methods and Constraints, Circuits, Power and Effective Constrants, Induction Apparatus, Syncronous Machines, Polyphsase Systems, Algebra of Complex Imaginary Systems. – MODERN HIGH-SPEED INFLUENCE MACHINES, V. E. Johnson, M.A. – THE CALCULATION & MEASUREMENT OF INDUCTANCE & CAPACITY, W.H. Nottage, 1916.